​Chelsea have reportedly asked to be kept informed over any developments on the future of Barcelona superstar Philippe Coutinho. The Brazilian has failed to cement his place in Ernesto Valverde’s side this season, despite only completing a £142m move to the Camp Nou last January. Philippe Coutinho could be making his way out of Barcelona before the transfer window shuts. Coutinho has recently fallen behind ​Ousame Dembele in ​Barcelona’s attacking ranks. According to the ​Express, ​Chelsea are prepared to challenge rivals ​Manchester United in the race to bring the former ​Liverpool star back to the Premier League. It is said that the Blues have been quoted a £100m asking price for the 26-year-old and that has not deterred Maurizio Sarri’s side from pursuing a move for Coutinho. The attacker has only started ten La Liga games for Barcelona this term, though he is apparently determined to make his ‘dream’ move in Catalonia work out, with a view to a move in the summer should his current situation fail to improve. 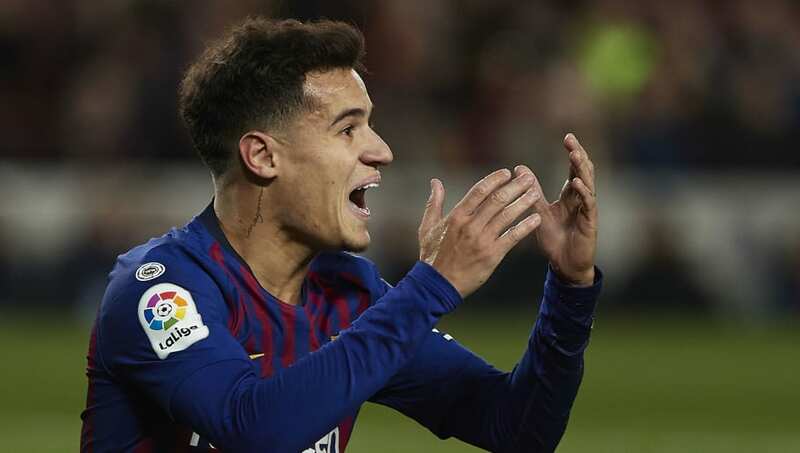 Coutinho was signed from Liverpool last year with the challenge of succeeding compatriot ​Neymar and club icon Andres Iniesta at the Camp Nou, though the attacker has struggled to make his mark at the club. It is suggested that Barcelona may be prepared to cut ties with Coutinho in order to fund a move to resign Neymar from PSG, with the Ligue 1 side needing to meet Financial Fair Play requirements. Chelsea turned in another lethargic display as they fell to a 2-0 defeat away to London rivals ​Arsenal on Saturday, allowing both the Gunners and Manchester United to close the gap to just three points between them and the Blues in fourth. Sarri’s rigid 4-3-3 shape appeared flat once more, with little attacking craft or fluidity supplied in order to really trouble the Arsenal defence. Coutinho could provide the missing attacking spark at Stamford Bridge with his ability to play between the lines of midfield and attack and supply the struggling Chelsea frontline, should the Blues succeed in making a move for the Brazilian superstar.